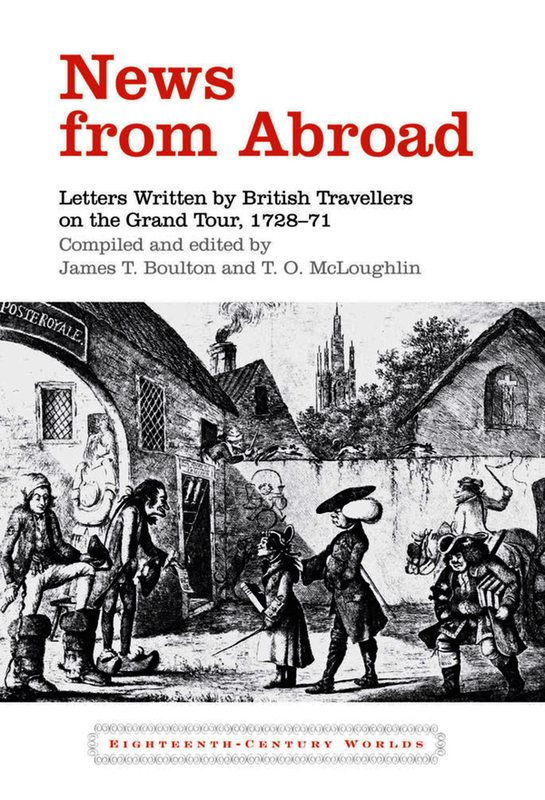 This book provides a selection of private letters written to family and friends from a variety of people while they were on the Grand Tour in the eighteenth century. Although many have been published previously, this is the first time that letters of this kind have been brought together in a single volume. Readers can compare the various responses of travellers to the sights, pleasures and discomforts encountered on the journey. People of diverse backgrounds, with different expectations and interests, give personal accounts of their particular experiences of the Grand Tour. Unlike most collections of letters from the Tour, which recount the views of a single person, this selection emphasises diversity. Readers can juxtapose for example the letters of a conscientious young nobleman like Lyttelton with those of the excitable philanderer Boswell, or the well-travelled aristocratic lady, Caroline Lennox. While the travellers represented here follow much the same route via Paris, through France and across the Alps via the terrifying Mount Cenis, to Rome, in the pursuit of learning and pleasure, the Tour turns out to mean something quite different to each of them. James T. Boulton is Emeritus Professor, University of Birmingham; Hon. Professor in the School of English, Bangor University. T. O. McLoughlin is Emeritus Professor, Université Paul Valéry, Montpellier.